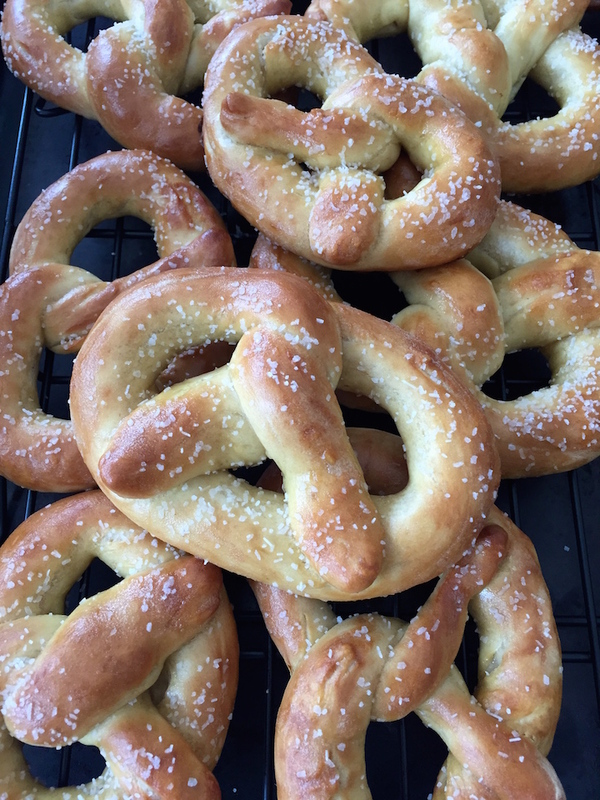 This is my new obsession… Â With all the snow days we’ve had lately, I’ve had time to make dough, let it rise, form pretzels, bake and enjoy. Â My little guy has had fun with this as well, so I see a few more batches in our near future! Â The recipe can be found at Allrecipes.com. This dish was more flavorful that I would have expected for a basic meat and potatoes meal from Family Circle Magazine (April 2014).Â I rinsed the corned beef thoroughly, and trimmed of quite a bit of the fat.Â Then poured two Sam Adams Boston Lager (12 oz bottles) into a crock pot.Â The actual recipe calls for one bottle of lager, and one cup of water, but I figured it wouldn’t hurt to use two bottles of the beer…Â Then 1 cinnamon stick, 12 whole cloves, 1 tsp peppercorns, the corned beef brisket and ten or so potatoes cut in half.Â I also added the little packet of seasoning that came with the corned beef brisket, figuring it would add a little more flavor.Â I let it cook all day on low heat, about seven hours, then about two hours before serving, I quartered the cabbage and placed it on top of the other ingredients.Â Everything was cooked perfectly!Â The meat was falling apart, the potatoes were soft and had picked up the aromatic flavors from the cinnamon, cloves, pepper, and beer.Â The cabbage was also cooked perfectly, even though I had suspected that it might have been undercooked! So while I am typically not into meat and potato style meals, this one made a nice dinner for my family tonight, and we also have enough for about two more meals of leftovers. The liquid of my choice was hot mulled cider (1/2 gallon cider, 2 cinnamon sticks, 4 peeled slices of fresh ginger, 10 cloves) with an optional kick (butterscotch schnapps and/or bourbon added by each guest to her own liking). Â This seemed to work out well, as there was only one cup of hot cider left for my husband when he got home! 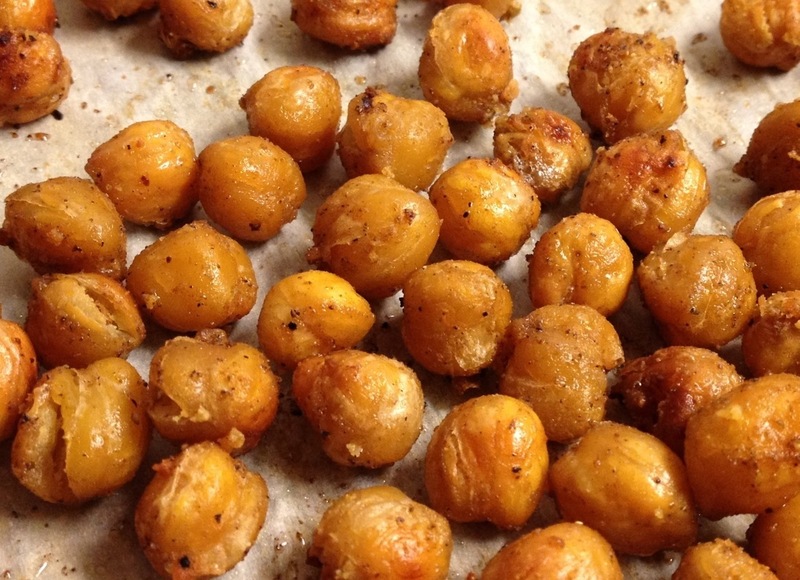 Crunchy Garbanzo BeansÂ make a nice nut-like snack, or can be used to top a salad. White Bean DipÂ with veggie sticks makes for a healthful appetizer with lots of flavor. Â I like this recipe because the bean flavor is mild, but there’s a nice kick of spice from the crushed red pepper and garlic, a slightly sweet/sour flavor from fresh lemon juice, and a surprising hint of rosemary. Artichoke Dip with crusty bread and/or tortilla chips is a nice easy appetizer, though not quite as healthful as the bean dip. Â This dip was sort of an experiment. Â I had made a large batch around the holidays, and froze some for future use. Â It turns out that this recipe freezes well–just prepare, freeze, thaw overnight, and bake just before serving. Â I noticed no difference in flavor or texture, and the dish was nearly empty at the end of the evening, so I’m guessing it was well-liked by my guests. Spinach SquaresÂ can be made ahead, or easily prepared just before serving. Â This is an easy appetizer or brunch item. Â I like it as a side with soup or salad. Asian ColeslawÂ is not like traditional coleslaw. Â It has a tangy peanut dressing, and is made with lots of colorful fresh veggies. Â I really liked this recipe, and will likely make it again soon. Â Adding cubed grilled chicken, and a few cups of black rice could make it a one dish dinner for a warm summer night. Turbo Veggie SoupÂ is one of my favorite soups to make since it is so easy to prepare, and the ingredients are loaded with nutrition. Â I usually prepare this soup a day in advance, then put the pot of soup in the fridge overnight so the flavors can mellow (or marry, as my grandmother would say). Â Then it’s a really easy dinner–just put the pot of soup back on the stove about half an hour or so before you want to eat! Garbanzo Bean Chocolate CakeÂ is a flour-less (gluten free) chocolate cake. Â I like to add a few sprinkles of cayenne and chipotle powder to give it a little bit of unexpected heat. Â Cinnamon is also a nice addition. 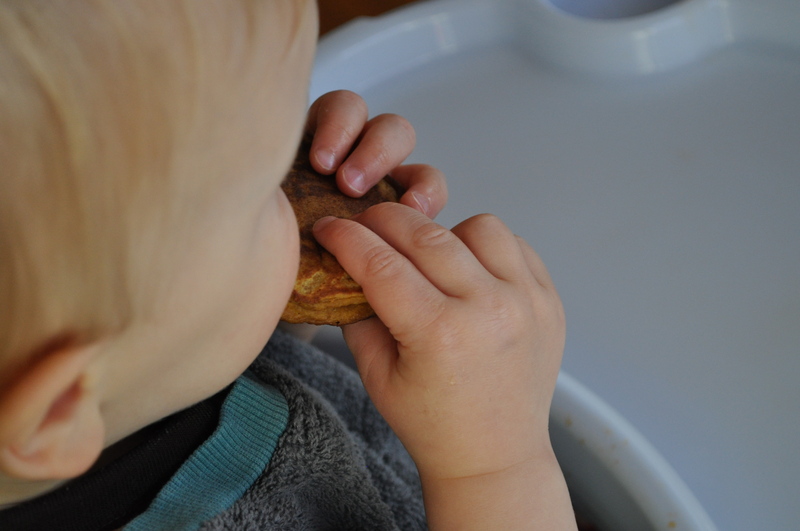 Molasses CookiesÂ are my favorite. Â Sadly, I have tried so many recipes, and have experienced failure (flat, crunchy cookies) enough times that I was prepared for this batch to be a disaster, hence the reliably good garbanzo cake on deck. Â I was pleasantly surprised that this batch of cookies was soft and chewy, even four days after they were baked! Â I cannot say how much longer they would stay soft and chewy, as there were none left after four days, though I think another batch is in order. Giffords World’s Best Chocolate ice cream… Â It’s not a girls’ night without ice cream, right? Â I probably didn’t need to buy the half gallon sized container though, since I have been indulging most evenings since our gathering. 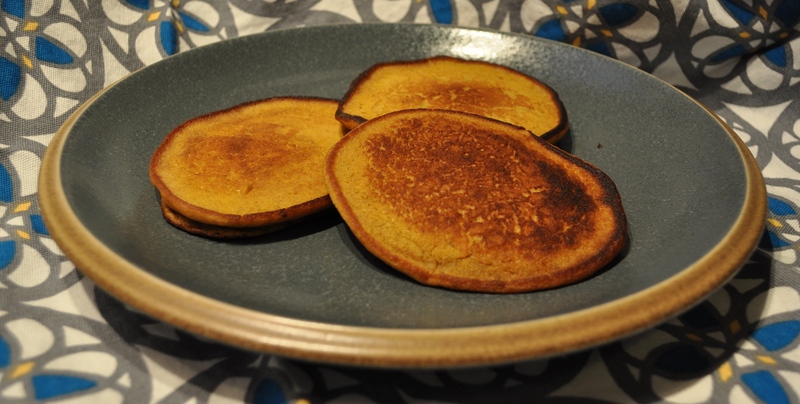 I’ve been wanting to make pumpkin pancakes for a while, and found this easy recipe that calls for simply adding a few ingredients to Bisquick or other pancake mix. I was happy with how these pancakes came out, and they also stored well in the refrigerator for easy reheating in the toaster oven during the week before work. I can safely say they were a hit with all members of my family. The recipe is available on the Instructables website. 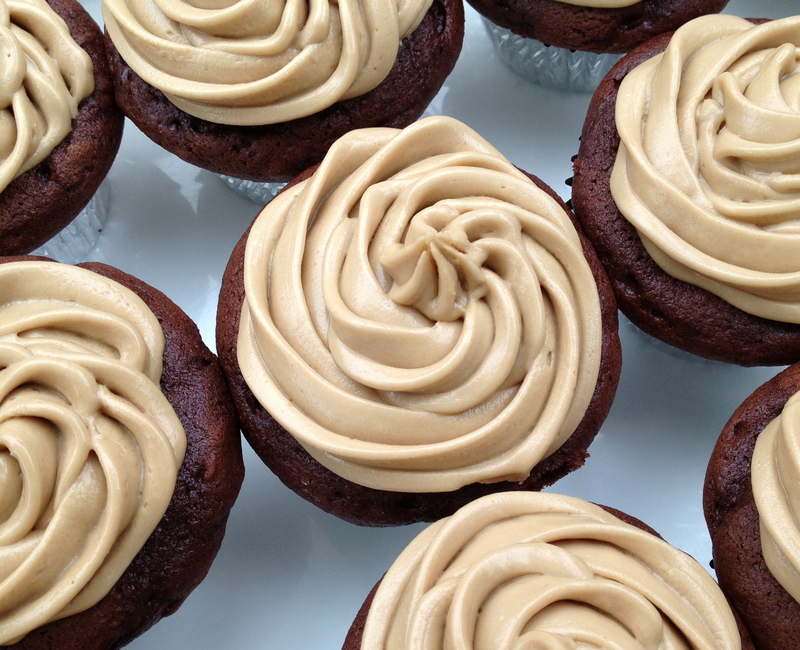 This is a great recipe!Â I highly recommend for any lover of cupcakes and/or chocolate, and/or caramel!Â The recipe can be found on Sally’s Baking Addiction blog. I have been wanting to make these for a while, and finally got around to it on this rainy day. They are tasty, crunchy, and strangely addictive… I never thought I would say that about beans! These are great warm, right after baking. They would also be a great salad topping for protein and crunch! Bake at 400 for 20 min, toss and bake another 5 min. 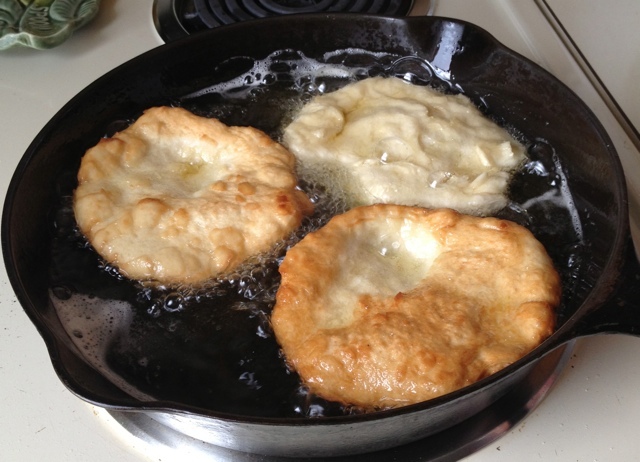 Check for crispness, and bake a few minutes longer if needed. Who Doesn’t Love a Cupcake? 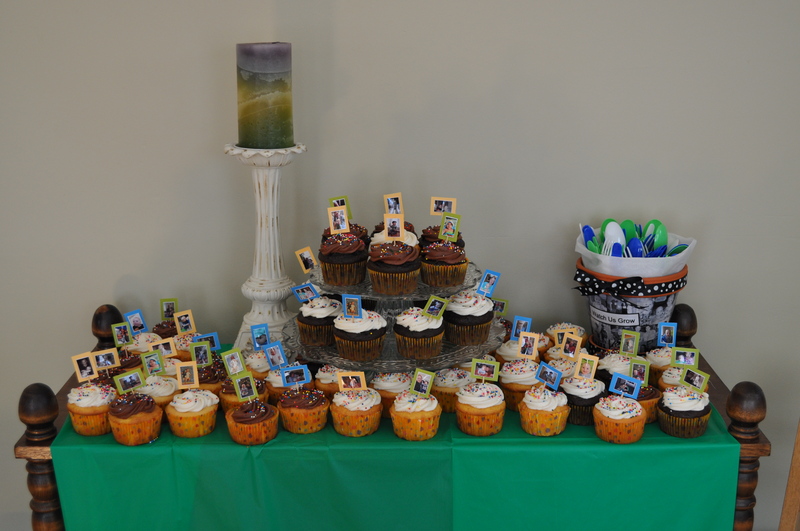 Some are homemade, some have homemade frosting.Â My friends Betty and Duncan helped with the others.Â All were yummy. Another Yummy Lunch on the Farm! One of my February vacation adventures with my son was a trip to the farm.Â I had a lovely visit with the three lovely ladies who live there, and we shared a delicious lunch together! Today I felt like having chocolate chip cookies, as it had been quite a while since I last made these sweet, buttery treats. 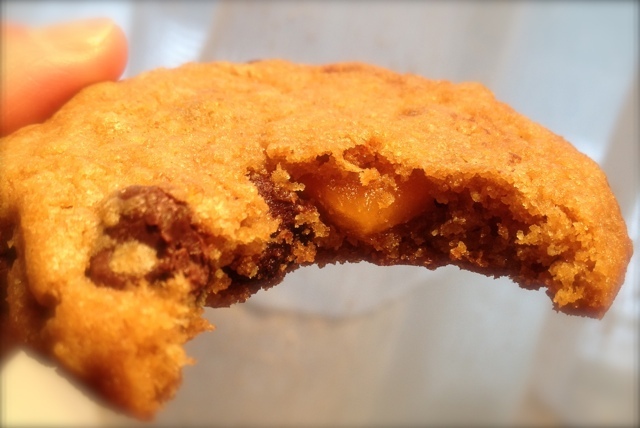 The recipe on the side of the Nestle Tollhouse Morsels bag + Trader Joe’s chili spiced dried mango = gooey, sweet cookies with an occasional kick of spice and fruitiness. Â YUM! Several months ago we enjoyed dinner at Sea 40 in Lewiston, ME. 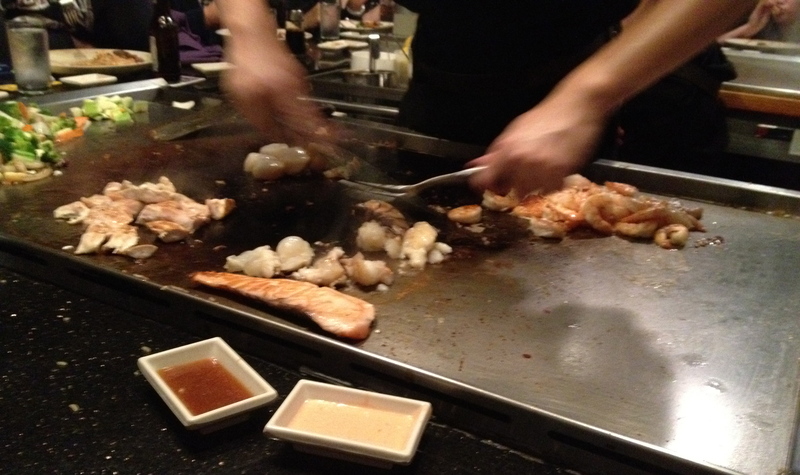 Â It was our first visit, and we were with friends, so we opted for the Hibachi table figuring it would be tasty and entertaining.